Very nice Ralph...good choice for BOTM. I have seen this bike and it is awesome. Then Ralph decided to do his own Salt Flats thing. He researched for a open record to try for and decided on the Production 1000cc to 1350cc Blown Class. He knew about T/Cs and after a act of God getting the sanctioning body to approve a Z1R T/C as a production bike he moved forward with the project. 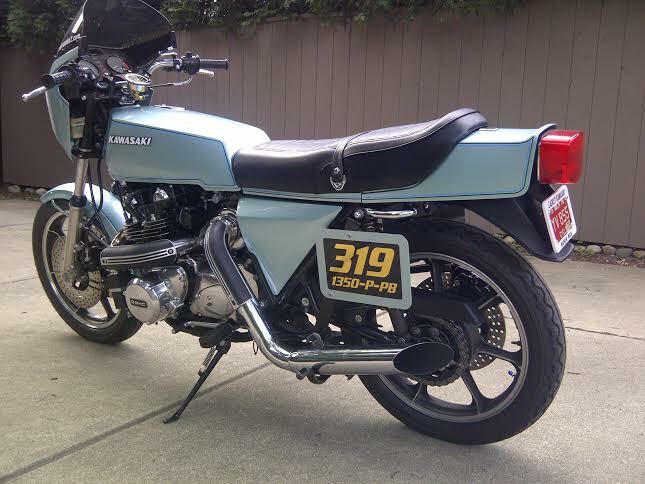 He purchased a rough but real T/C from a collector he did work for and dove into the bike. When completed he rode it 130 miles to break it in and went racing. Ralph says it was weird for a drag racer to hold the throttle wide open for 45 seconds and after tear down he saw his stock cast pistons had melted and grabbed the rings which helps explain the 131 mph pass. I still say its a great job on ralphs part to accomplish what he did 1rst time out. In 2015 ralph took the rebuilt stocker to the Ohio Mile and ran 147 mph on 7 1/2 pounds of boost GOOD JOB !!! I don't use this word much but that's AWESOME. Another great choice, interesting bike very well presented. I always think the ZIR as one of those 'important' bikes in the lineage that set a precedent for the later 'euro style' 'universal japanese motorcycle' form, influenced with styling cues from the Italians. That revolutionary front and tail fairing with in it's origami paper fold sharp lines, that wasn't too well received at the time, was to be much repeated in the whole GPz /z / kz 400/500/550 , the 750 L/R and the later 1000 J , ELR as well as the GPz1100's. The Z1R was always the bike I lost sleep over. The Z9 and Z1000 (KZ for the yanks) were great but the Z1R was always the bike I liked more than any other. This turbo really hits the spot, I love it BUT standard sorry my early wobbles etc leave a bad memory. I still believe the fairing doesn't help, when I remove mine the bike feels fixed when its fitted the wind does effect the bike. Unfortunately its like removing a leg so I keep mine on and respect the bike. BLOODY great choice. What a machine and that Turbo............don't get me going? A real beautiful Z1R there to say the least. Fabulous. Very nice bike. Still remember the magazine adds when the Z1-R's came out. Always loved the Euro style of the bike. Congratulations Ralph! Must be a joy to own. ...Wow! That is an awesome machine. Bozo wrote: The Z1R was always the bike I lost sleep over. 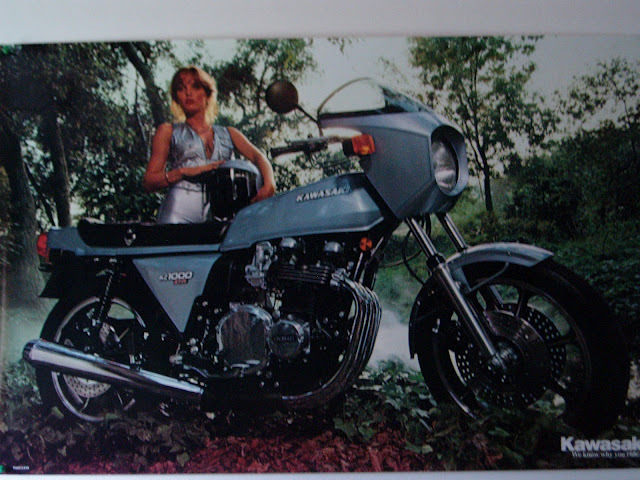 The Z9 and Z1000 (KZ for the yanks) were great but the Z1R was always the bike I liked more than any other. Everyone said they wobble around 130 or 140 so I put a short rear tire on it to give it a bit more rake and trail like Kawasaki did on the 1980 with a 19 " front wheel. Steering damper also helps. 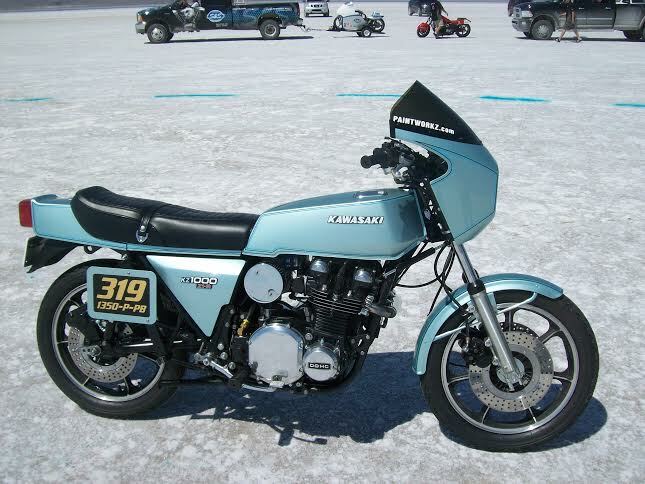 ATP race them a Bonneville back then and found it unrideabe at 179 with the stock fairing but a racing 1/4 fairing let it run 197...of coarse this was with forged pistons and big boost. I think the area below the headlight causes lift. The first 250 turbos were the standard silver blue with a Log pipe......the last 250 were black with the Molly graphics and had a Spider 4 into 1 pipe. 25 were built in between the first and last 250 runs with the log pipe and black Molly paint and that is what mine is. I just liked the silver blue too and went with that. Bumping your fine machine back to the top. Wonder what it might be ? KZJOE900 wrote: Very nice bike. Still remember the magazine adds when the Z1-R's came out. Always loved the Euro style of the bike. Congratulations Ralph! Must be a joy to own.